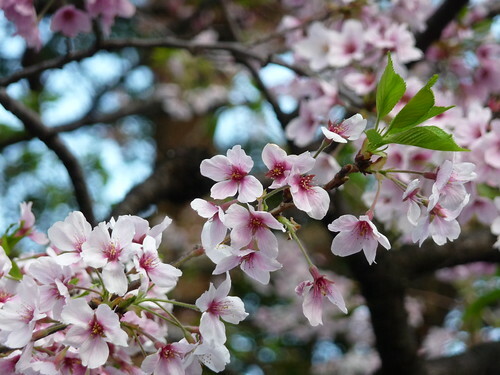 From mid March to mid April is the Sakura (Cherry blossoms) season in Tokyo. 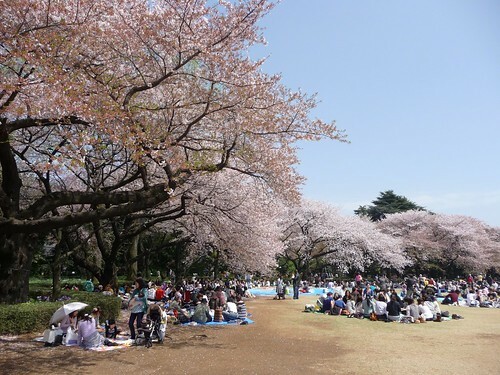 There are 2 most popular sites for viewing sakura; one is Ueno Park(上野恩賜公園) and one is Shinjuku Gyoen(新宿御苑). I visited these 2 places during the weekend, and got an interesting finding. There were more younger groups (students, friends and colleagues) at Ueno Park and more families and senior people at Shinjuku Gyoen. 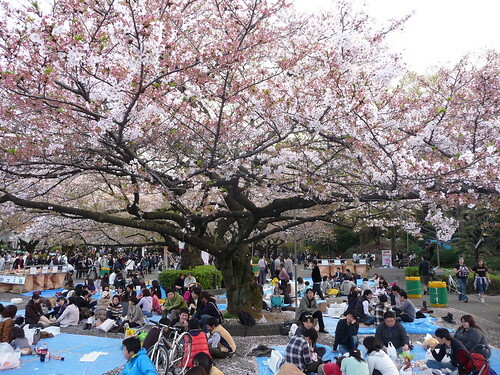 I am not sure what caused this phenomenon, my guess is alcohol allowed at Ueno Park but Shinjuku Gyoen. Anyway, I like both locations. Because both places show beautiful sakura and happy atmospheres.